Between a long sandy beach and an immense pine forest, Saint-Jean-de-Monts is a seaside resort with many assets. The beach sloping very soft is discerning generously at low tide. The water is of excellent quality. Without danger and without current, it is the happiness of the families and the youngest children. Many activities and beach clubs. The Marais Breton Vendéen is a wetland of great biological richness. Bourrines, canals and etiers are emblematic of these typical landscapes. Always preserved, the Côte Vendéenne perpetuates its popular traditions (Challans fair), maraîchines and gastronomic (Mogettes, thighs of frogs, ...). 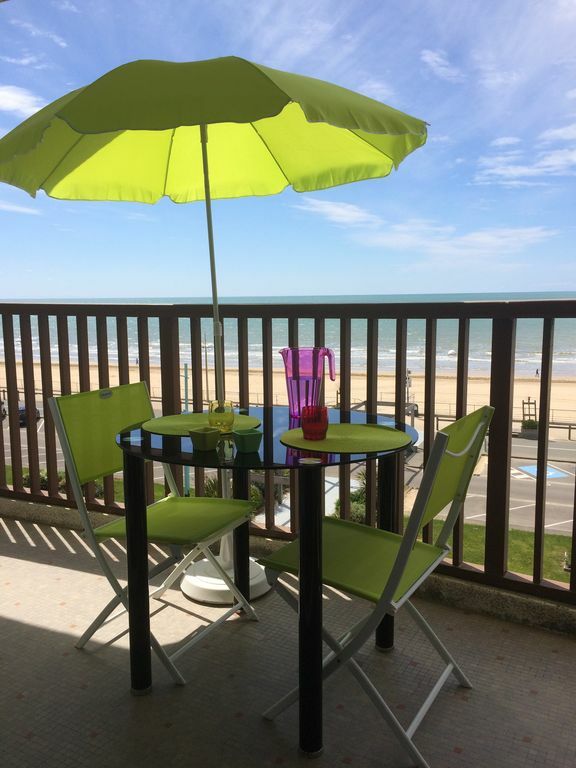 Lovely spacious apartment with fabulous view across the beach. Kitchen very well equipped with everything you need. Communication with the owner was excellent, very quick answers to any questions before and after booking. Very spacious apartment with wonderful views over the sea front. All of the amenities you could want on your holiday. Light and airy living space. Fully equipped kitchen. Clean well equipped apartment, larger than the photos indicated! Particularly liked that it was within walking distance to restaurants, town, and markets. The owner Jose Munos was very quick to respond and immediately resolved a minor issue. Would definitely stay again. L'océan à portée de main. Notre séjour s'est très bien passé avec une météo idéale ; ce qui nous a permis de profiter au maximum des kilomètres de plage situés au pied de l'appartement. Les grandes marées et les très beaux couchers de soleil ont ajouté un plus à notre décor en tout point remarquable. L'appartement est de bonne qualité et très bien équipé. Les propriétaires embellissent chaque année cet apppartement très bien situé (plage, marché de quartier) avec parking privatif. The city is located west of the department of Vendee between Notre-Dame-de-Monts and Saint-Hilaire-de-Riez, early in the Coast of Light. It is separated in two by a dune pine trees stretching from north to south along the coast, forming a part of the Forest of Pays de Monts, configuration and extends continuously for 25 km from north to south , La Barre-de-Monts Saint-Hilaire. The heart of the town is located east of the dunes while the waterfront is a second set and over living in was west of the cord that is a "Green Belt" of at least 200 meters wide The two parts are connected by several wooded avenues. The beach is the big attraction of Saint-Jean-de-Monts and made it famous. It offers large spaces because it measures more than 8 kilometers long. It is accessible to all and rarely troubled in summer thanks to a very soft sandy slope to the bottom. The waves are small and the water level remains low for several hundred meters. During high tides, the beach area is very large and offers an ideal playground for fishermen on foot and sports of all kinds.